The unfolding of an artist’s life and work is a strange and mysterious process. If you’ve been following the posts in “Under the Radar,” you see that there’s no one-size-fits-all. Ted Larsen took several years off to rethink his direction. 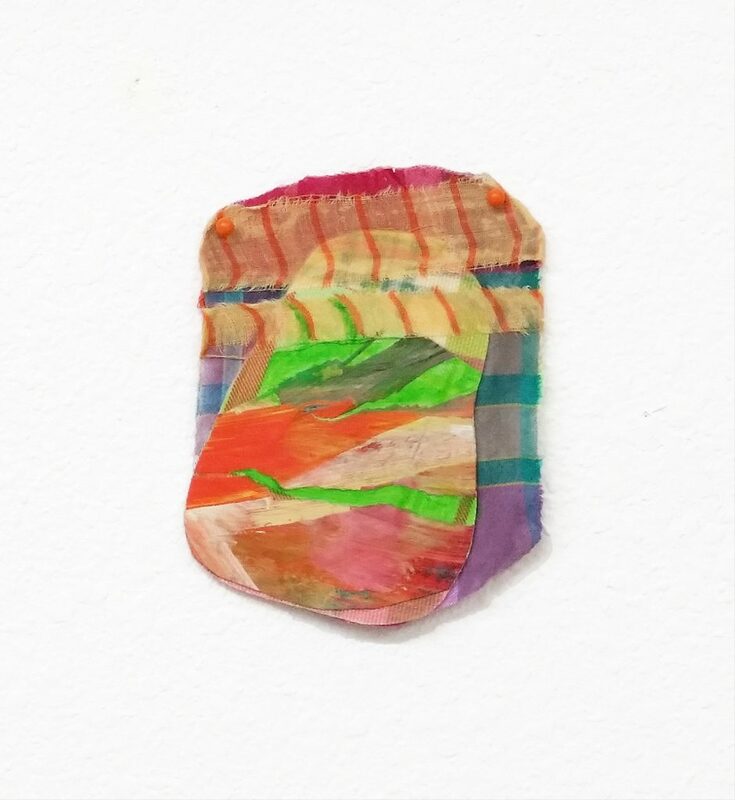 Phillis Ideal moved from one accomplished body of painting to another—each seemingly different from the other—before settling into abstraction. Among the anointed in the pantheon of 20th-century giants, de Kooning developed in a comprehensible, almost step-by-step fashion, but Agnes Martin didn’t find her groove, the grid, until she was in her fifties. 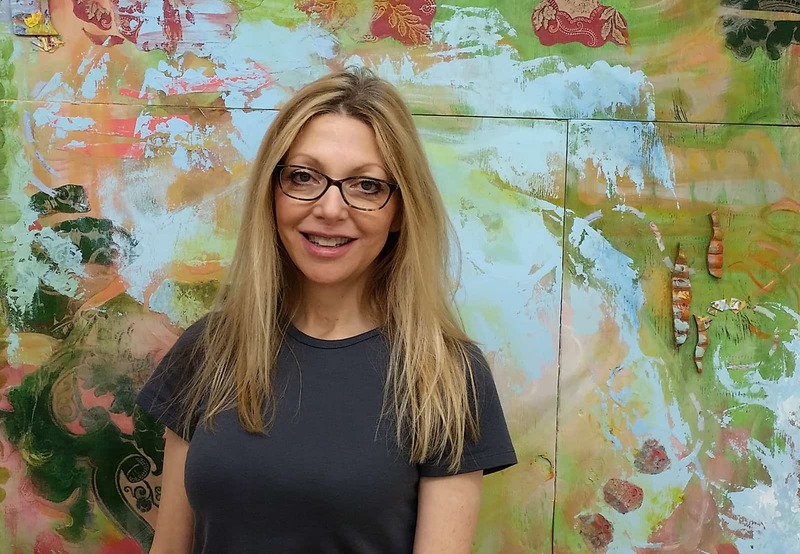 So it is with Bonny Leibowitz, who in just the last few years has forged an entirely new direction for her art, although she has spent nearly three decades pursuing her muse. In the late 1980s, she says, she was making “contemporary Southwestern paintings, based on very abstracted horse-and-rider imagery.” The work was selling briskly, “but I just got burned out on it. I hit a wall. 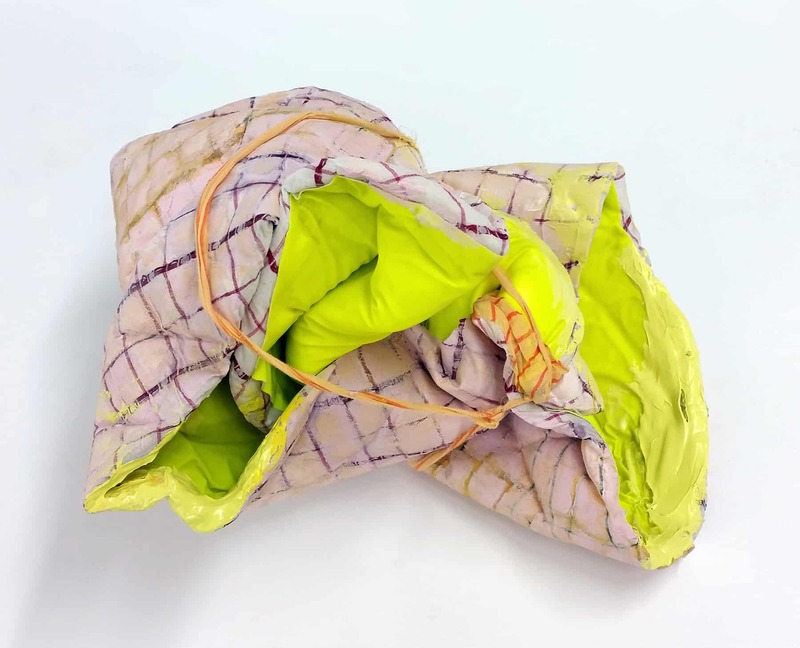 The latest upshot of those “years of wondering” was an enthusiastically received show last month in Dallas at Liliana Bloch Gallery, where her exuberant sculptures and wall reliefs combined an eye-popping array of materials–vintage and contemporary textiles, vinyl and acrylic, polymer foam, photography, mulberry paper, and oil and wax paint—in ways that managed to recall both the wildly inventive works of Nancy Rubins or Lynda Benglis and an overstuffed laundry basket. Instead, in her early-twenties, she moved to Dallas and worked for her father. 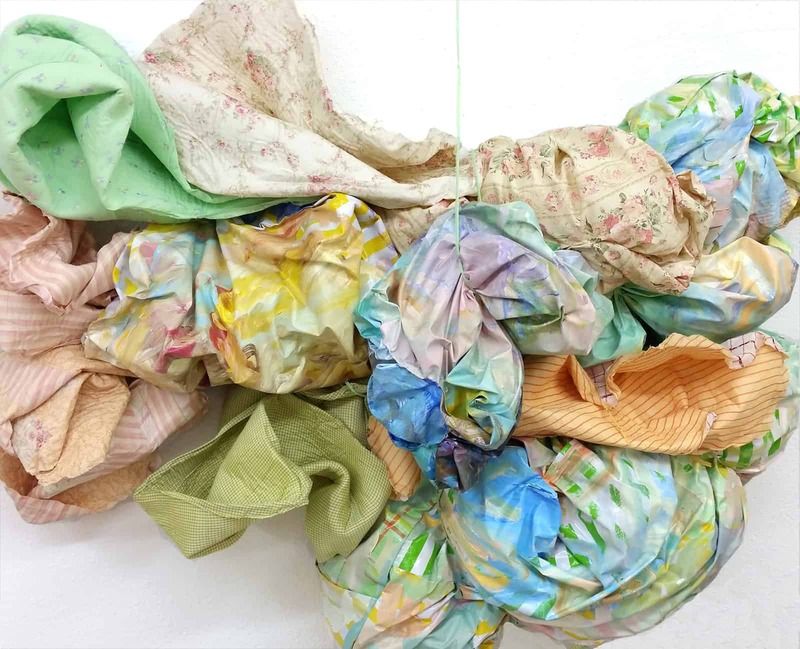 “For three years, I mixed hundreds of colors for fabric printing. The experience gave me a good sense of what makes up any particular nuance in color. If a blue has a little bit of umber in it, I can spot that immediately.” She married and began showing her work nationally—including in Santa Fe, Palm Springs, and Denver—and had a son, who is now in Austin, TX. “I started working ‘dimensionally’ and the shapes became very human,” she says of the “Pods.” They are, she admits. “both alive and repulsive. 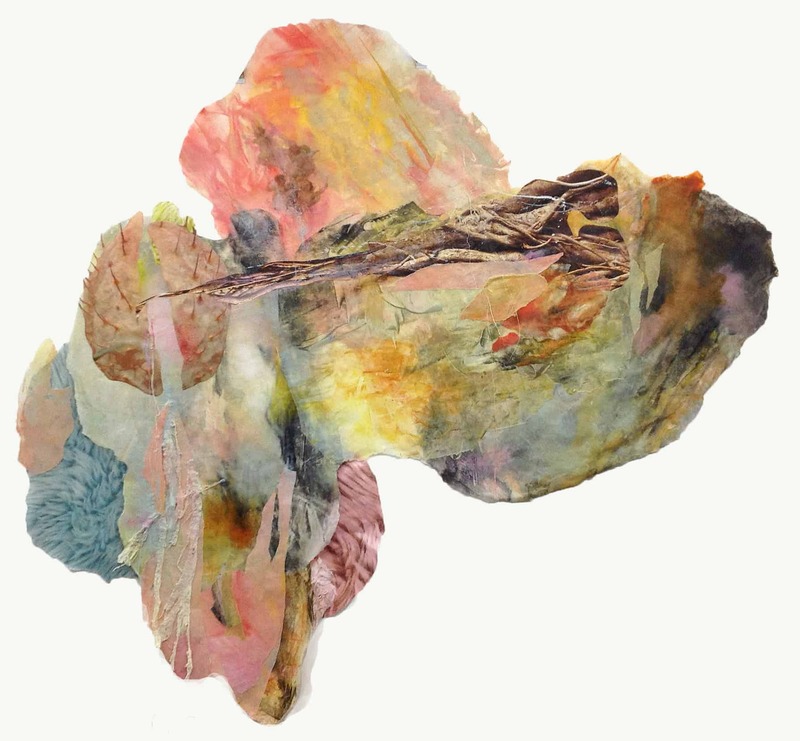 I was working in plaster, fiber, and collage, and when I invented this series I said, ‘These are definitely archetypes.’” She went searching the web for Carl Jung societies around the world, looking for a Jungian analyst to write about the work. A writer and psychologist named Donna Cozort, who had studied in Switzerland, just happened to be in one of her art classes. 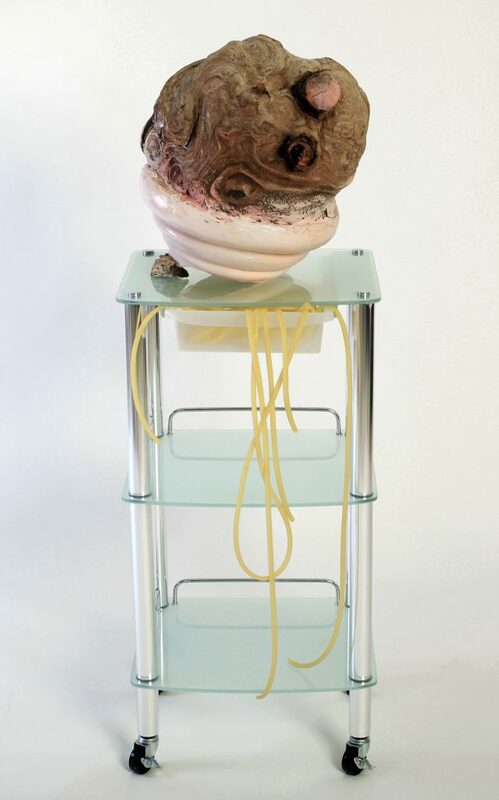 “She started writing about my work, and the two of us did a talk at the artist’s opening.” Among the creepier sculptures in this group is Assisted Living, which incorporates a medical cart, petrified wood, and dangling yellow-ochre tubes. “It’s about aging,” says the artist—which might account for the shiver of dread this piece provokes. Recently Leibowitz has been spending more time in the Bushwick section of Brooklyn, visiting artists and galleries. 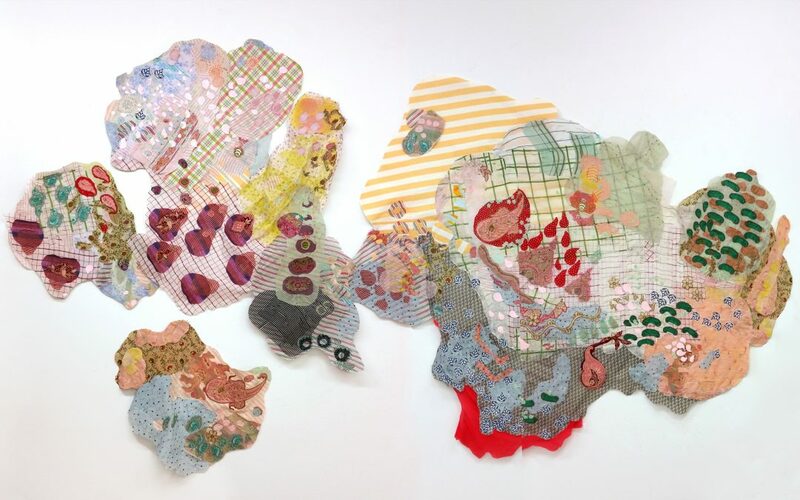 In 2015 she organized a show in Dallas, “Family Ties,” with curator Julie Torres, bringing together 120 artists from both Dallas and Brooklyn. Next up is an exhibition of her own work, titled “Remnants and Other Elevated Parts,” at No. 4 Studio on Morgan Avenue, which opens September 9, 2016. “Like so many artists, I’ve always had a strong passion for the scene in New York.” That early dream of a loft in the city—and maybe of painting with a gigantic broom—may yet be within reach. Wonderfully written, and so glad to learn more about Bonny and her art. Much applause to following your inner voice. Thank God she quit doing the Southwestern stuff, because these works are wonderful and so much more interesting. Thank you, Ann for this peek into Bonny and her world.